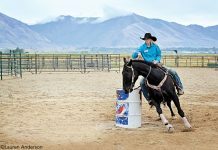 Kristin Counterman’s young rider success story is filled with a variety of ponies, a senior schoolmaster and lots of hard work. The bubbly 14-year-old Virginia native started out riding in summer camp at age five and by the time she was barely 13, she was in the ribbons at her first United States Dressage Federation (USDF) National Dressage Championship in 2013. Her journey to the upper echelon of junior equestrian sport is inspiring and one that any young rider would want to emulate. Along the way she’s had a steady stream of equine partners, and until recently all of her mounts were either leased or borrowed. Kristin says each of them taught her something. “I rode a lot of spunky ponies and learned to be patient,” she laughs. 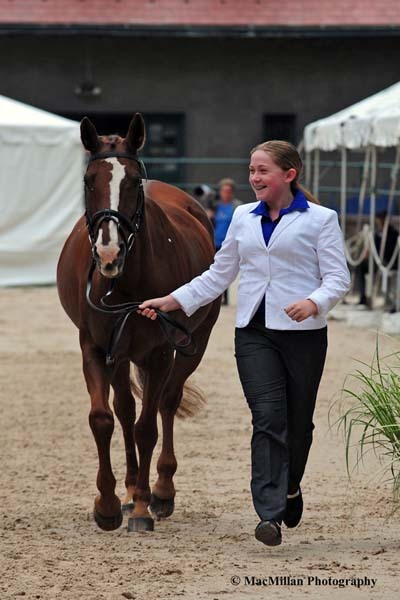 By the time she was seven Kristin was a member of the Misty Brae Pony Club Riding Center in Aldie, Virginia, in the United States Pony Club Virginia region. During her time in Pony Club she competed in dressage, eventing and show jumping rallies as well as tetrathalons (a competition that consists of riding, running, shooting and swimming). She won the Virginia Region Tetrathalon for her age group in 2009 and 2010. She is still a Pony Club member and recently earned her C2 certification in dressage. 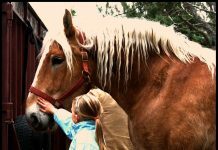 In 2011, after her lease on Rambo was finished, Kristin leased a Welsh Pony mare named Meg from the DeMichele family. Meg opened up even more doors for Kristin. A chance meeting through a Pony Club dressage quadrille training session introduced her to another of her coaches, FEI rider Lauren Sprieser. Sprieser, her former assistant trainer Allison Spivey, and Mary Flood are currently Kristin’s main trainers. With Sprieser’s and Spivey’s guidance, Kristin and Billy honed their skills and developed a real partnership that stretched over two years. 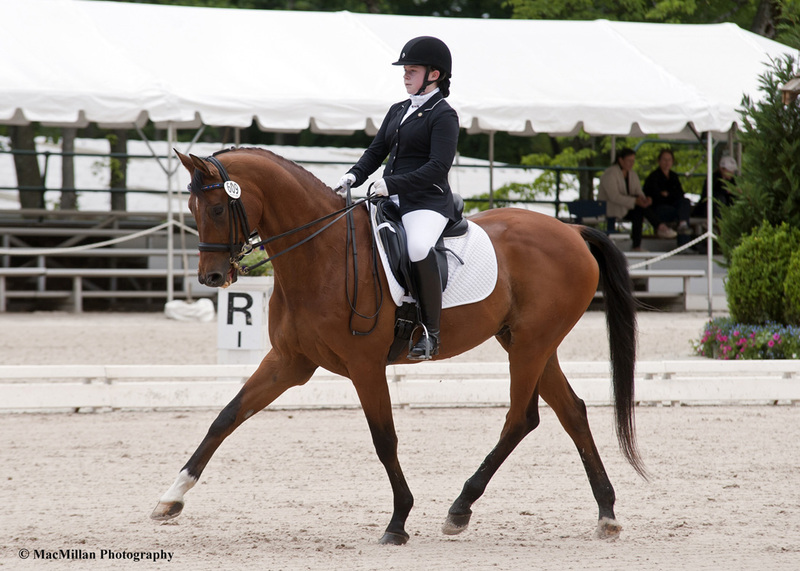 Kristin returned to the Lendon Gray Youth Dressage Festival in New York in July 2013, this time with Billy. They had the Overall High Score of the show earning a 75.9% at Second Level. 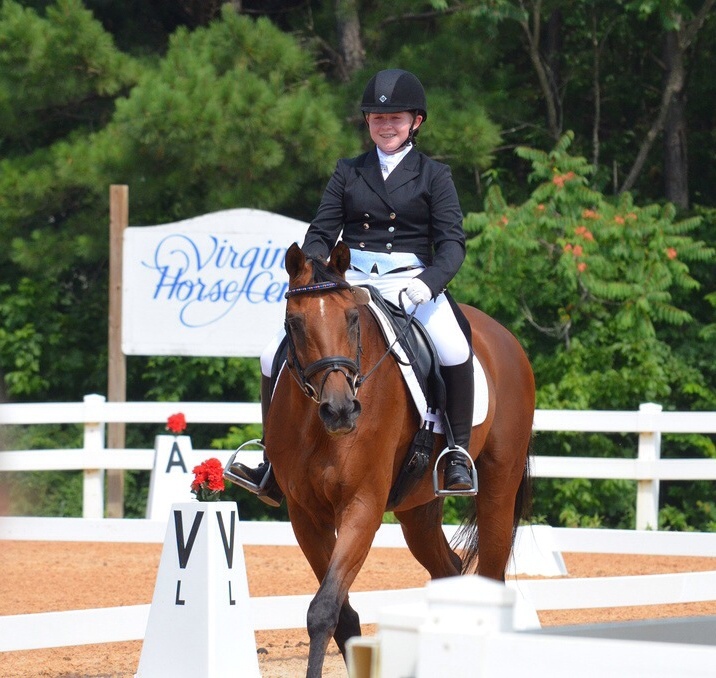 They also scored 77% in their Second Level Freestyle and Kristin, who was only 12 at the time, scored 92% in her dressage seat equitation class. . They were the Overall Champion at the Festival, which earned Kristin an invitation to join the Emerging Dressage Athlete Program, and the opportunity to attend the 2013 Courtney King Dye Horsemastership clinic, both sponsored by Dressage4Kids. Later in the summer of 2013 they were Junior/Young Rider Second Level Champions, and scored well in the Open Second Level Freestyle Championship, at the USDF Region 1 Finals. This qualified them for a trip to the inaugural USDF National Championships in November at the Kentucky Horse Park. They proudly took home a sixth-place ribbon in the Open Second Level Freestyle from the Nationals. 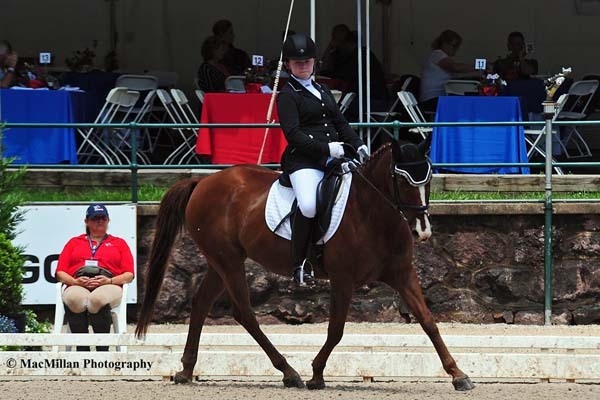 “Participating in the U.S. National Dressage Championships was an honor and a very great experience. It’s nice to know that we were good enough to be competitive with the best in the country. The Kentucky Horse Park was such a nice facility and I loved riding in the fabulous Alltech Arena. It was such a positive and supportive atmosphere. Everyone was so nice,” says Kristin. 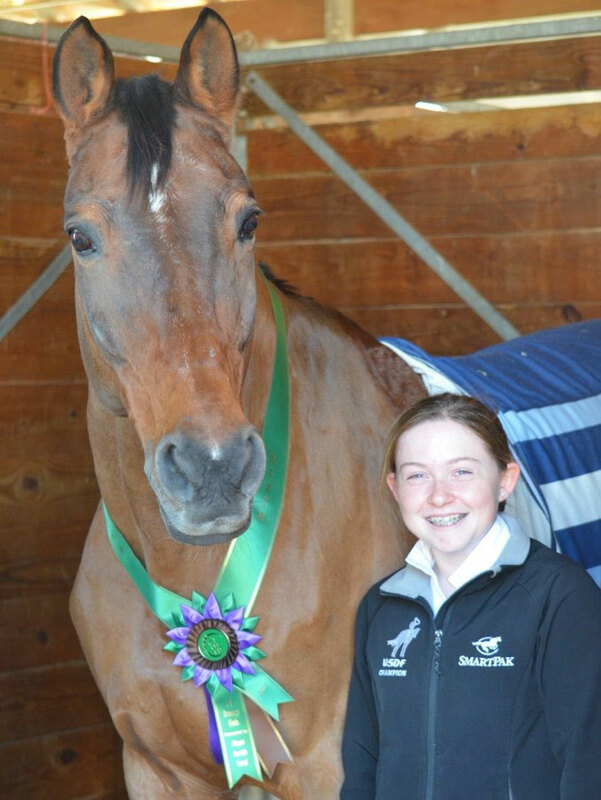 Kristin and Billy topped off their year in 2013 by earning a USDF bronze medal. Late in 2013 a new horse entered Kristin’s life. Sprieser had found a grade Quarter Horse pony mare for sale and suggested that the Countermans consider buying her, which they did. Finally, after leasing so many talented horses and ponies, Kristin had a horse of her own! Esperanza, a.k.a. “Whisper”, had been a successful barrel racer then began a new career as a very green dressage pony. The next year, 2014, brought more opportunities for Kristin. She earned an invitation to participate in the United States Equestrian Federation (USEF) Dressage Festival of Champions at Hamilton Farm in Gladstone, New Jersey, in mid-June with both Billy and Esperanza. Kristin earned ribbons with both of them at the Festival. The historic farm is the home of the United States Equestrian Team and only the nation’s best are offered the chance to compete there. “I had never been there before. I was so excited to meet so many new people who ride at such a high level. It was really cool. The facility was awesome too!” recalls Kristin. After the Festival of Champions, Kristin and Billy moved up to Fourth Level and Prix St. Georges. “In July and August of 2014 we earned the required scores for my USDF silver medal and qualified for Regional Championships. We went on to become the USDF Region 1 Junior/Young Rider Reserve Champion at Fourth Level, and Junior/Young Rider Champion at Prix St. Georges. I was very honored to earn the Prix St. Georges Championship on Bellinger. It was his last official FEI ride and it was very fitting that it resulted in one more blue ribbon,” beams Kristin. 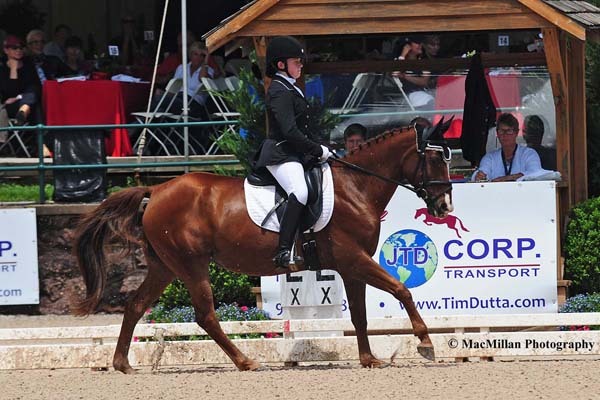 With her time leasing Billy over, Kristin rode in the 2014 USDF National Dressage Seat Medal Finals in Illinois on a 20-year old Hanoverian gelding named Pip loaned to her by Amanda Johnson. They placed sixth. She and Whisper also took Reserve Champion in the 2014 Region 1 Dressage Seat Medal Semi-Finals in Virginia, which qualified them to compete in the finals again this year. Another highlight of 2014 for Kristin was participating in the Courtney King Dye Horsemastership program at Riversedge in Maryland with Fiero, an eight-year old Oldenburg gelding owned by Beverley Thomas. While she still has Esperanza who she hopes to qualify for the Festival of Champions again this year, Kristin has two more new horses in her life now too. Her coach Mary Flood helped her find her first sponsor, Dr. March Enders, who purchased a four-year old Oldenburg gelding named Louboutin HW (barn name “Louie”) from HW Farms in Germany for her to bring up the levels. Sadly Dr. Enders passed away recently, so Kristin is riding Louie in her honor and she hopes to get him into the show ring later this year. Sprieser also helped her to establish a lease from owner Caroline Stephens on Three Times, (nicknamed “Dutchie”) a 15-year-old Dutch Warmblood gelding. She is competing Three Times in the FEI Junior Rider division this year and hopes to earn a trip with him to the Adequan FEI North American Junior Young Rider competition in Kentucky in July. So far this year she and Dutchie have already earned one Junior/Young Rider High Score of Show at the first spring Virginia Dressage Association (VADA) show at Morven Park. No matter what she plans for the future, one thing’s for sure, she’ll be working hard with a ton of enthusiasm and a big smile. Congratulations on all your accomplishments. Keep up the hard work and discipline and you can succeed at anything you put your mind to!